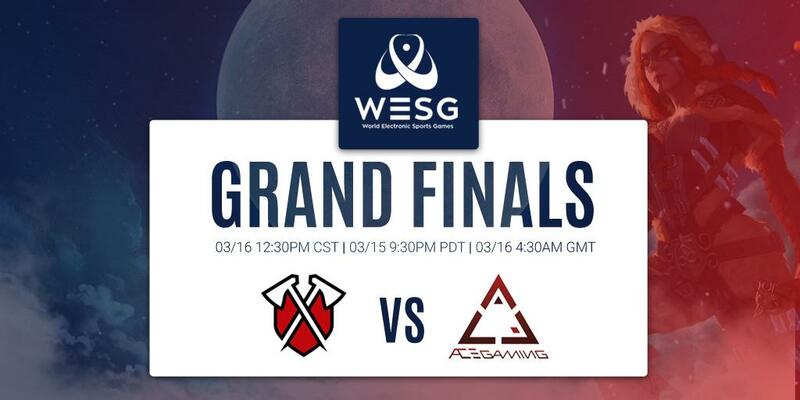 Tribe Gaming, representing NA and the United States, was set to take on Team ACE from South Korea in EA. The first time that these two teams faced off was in the finals of the 2017 3V3 World Championship, where Tribe took home the victory. More recently, this past December, ACE made quick work of Tribe on their way to winning the 2018 World Invitational. 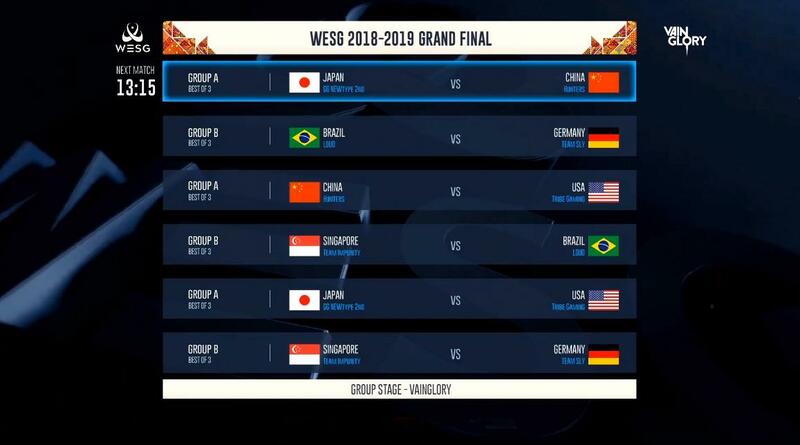 ACE also defeated Tribe 2-0 off stream during the group stage on the first day of WESG competition. Before jumping into the championship series, there are a few points to note. 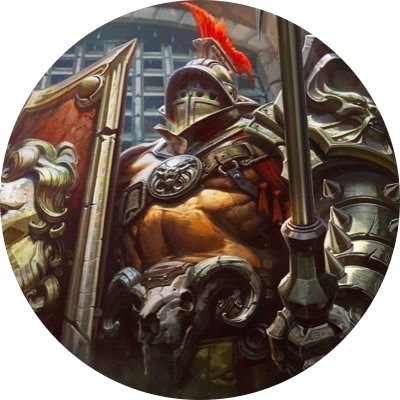 First, after FourCourtJester and SeanAustinO casted all of the games for the first two days, Humanist and TastyBacon were brought in for the final series. 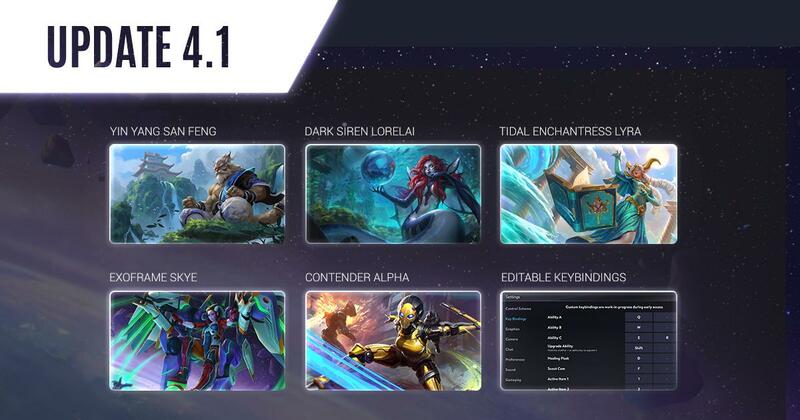 Additionally, although the current public client for the game was operating on Update 4.1, WESG was provided with a private tournament client on Update 4.0. For more information about the tournament structure as well as a full recap from Day 1 & 2, check out our article covering those topics. The first game of the series started around 20 minutes earlier than the scheduled time, with the broadcast coming online after the bans for each team took place in the draft. In the early seconds of the game, each team rotated into the others’ top jungle, swapping crystal buffs. ACE extended into Tribe’s bottom side jungle, forcing a 4V4 stalemate before eventually retreating. This allowed for several of ACE’s minion waves to passively build up, slightly pushing Tribe’s lanes early on. By four minutes into the game, neither team had destroyed a turret, secured first blood, or amassed a gold lead. Tribe eventually claimed first blood as Chuck (Skaarf) cast Dragon Breath to take down DarKLon (Churnwalker). Just shy of 7:30, ttigers and Oldskool secured the second kill for Tribe on sweetBox in the bottom lane. ACE answered these two kills by destroying the first turret of the game in their bottom lane. Oldskool and ttigers continued to apply pressure against sweetBox, eventually taking down their first turret of the game. ACE then grouped up to make a massive push down the middle lane. Tribe quickly reacted with several members rotating quickly to fend off the push. It took ACE until 11 minutes into the match to secure their first kill, when they were able to pick off ttigers (Fortress). ACE followed this up quickly by taking down their second and third turrets of the game, in Tribe’s middle and top lane, respectively. This also provided ACE with a small gold lead moving into the late game. In a strategic move by ACE, CreaTion (Kinetic) began capturing Blackclaw by himself, utilizing Serpent Mask to regenerate health before being joined by sweetBox to secure Blackclaw uncontested. During the push, the teams traded kills 1-for-1 and Tribe lost their second middle lane turret. Tribe spotted an opportunity to secure Ghostwing as CreaTion pushed ACE’s bottom lane by himself. This gave Tribe time to secure Ghostwing with no contention; however, Tribe was unable to secure any major objectives with the help of the buff. Minutes later, Tribe initiated a team fight around the Blackclaw pit, where they took down two members of ACE and swung momentum back in their favor. On the backend of this fight, T4SA (Reza) overextended, chasing Oldskool (Gwen) into Tribe’s jungle. With some help from Gabevizzle (San Feng), Oldskool took down T4SA. In the next team fight, Tribe again took down two members of ACE and secured their second Ghostwing of the game to retake the gold lead. This time, Tribe effectively employed the Ghostwing buff to capture Blackclaw. With Blackclaw pushing down the middle lane, Tribe elected to split push their top lane, destroying a total of three turrets on the push. From this point on, Tribe began to rotate across the map as a full five man party, allowing them to take control of the game. After securing a critical ace around the 27-minute mark, Tribe pushed down ACE’s bottom lane to claim victory and go up 1-0 in the series. The draft for game two saw ACE banning away Fortress from ttigers, but, in the process, allowed Tribe to pick Adagio for Oldskool — a hero that he has become a historically renowned player on. ACE, on the other hand, drafted a team composition that boasted a high amount of gank potential and crowd control abilities, with a combination of Grumpjaw, Lance, and Glaive. Around the 2:45 minute mark, the teams traded kills, but ACE was able to secure first blood by a split second. Despite his expertise, Oldskool was taken down three times early on in this match, allowing ACE to quickly destroy their first turret of the match. In a long rotation by Hami (Joule), all the way to Tribe’s bottom jungle, he secured kills on two members of ACE. Tribe then found a kill on sweetBox (Grumpjaw) in their bottom lane and pushed to take their first turret of the match. Overall, in the early part of the second game of this series, both teams were playing more aggressive. This could mostly be attributed to the compositions that were drafted. As the match moved into the mid game, it settled down with Tribe building a slight gold lead over ACE. Tribe secured the first major objective of the match, taking down Ghostwing at 11 minutes. ACE answered this by destroying their second top lane turret; however, this didn’t stop Tribe from making the most out of their Ghostwing buff. Tribe secured a kill on CreaTion (Baron), took down their first middle lane turret, and captured Blackclaw. As a full team, Tribe pushed down the middle lane with Blackclaw. During this push, two turrets were destroyed with ease. Tribe then retreated in an attempt to stop sweetBox from split pushing ACE’s bottom lane. Quickly following this, Tribe collapsed onto Ghostwing for the second time of the match, securing the dragon uncontested. Tribe tracked down and assassinated SHaNa (Skaarf), then immediately pushed down the middle lane. They took the armory, and shortly after, with a desperate attempt by ACE to stop them, Tribe destroyed the Vain crystal to take the series 2-0 — being crowned as the WESG Grand Finals Champions! After a short series, Tribe Gaming redeemed themselves from their performance at the 2018 World Invitational. This also marked the first time that Chuck, Hami, or Oldskool won an international championship, not including the sole NA and EU unified event. This also marked ttigers’ (Worlds 2017, Tribe) and gabevizzle’s (VIPL 1, Gankstars Sirius) second championships. VODs for the event can be found on Vainglory’s Twitch channel. Congratulations to all eight teams that made the Grand Finals, and we look forward to more esports action throughout the year!